Praised by The New York Times for her ‘clear articulation … unequivocal phrasing … [and] expressivity’, Ingrid Jacoby has established herself as one of the most poetic and admired pianists of her generation. In America, the National Society of Arts and Letters awarded to her (in 1994) one of its highest distinctions, the Lifetime Achievement Award. 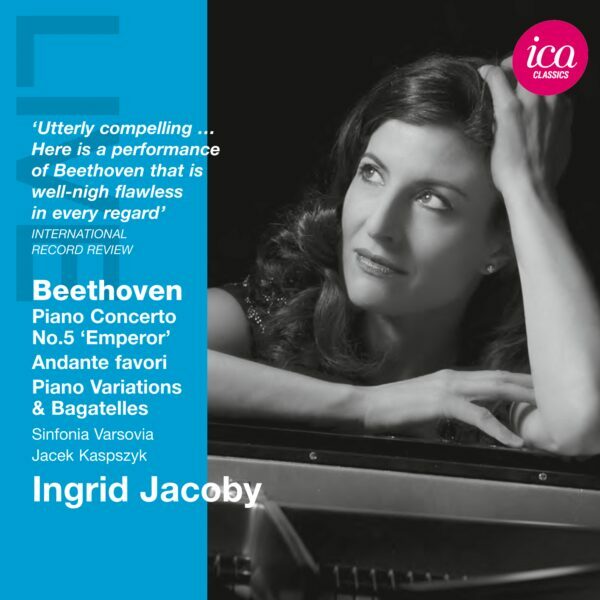 This is Volume 2 of Ingrid Jacoby’s complete set of Beethoven Piano Concertos. This strongly projected performance of Beethoven’s Concerto No.5 is complemented by an all-Beethoven recital which Ingrid Jacoby recorded in 1991–2, featuring sets of variations, the Andante favori and the op.119 Bagatelles. The producer was Tony Faulkner. 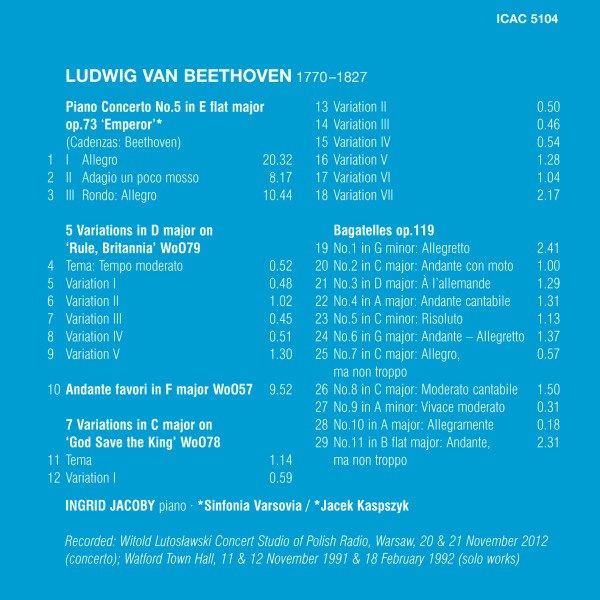 The booklet contains notes by Richard Wigmore in addition to personal insights by Ingrid Jacoby on Beethoven interpretation.